The Warner Archive is an online DVD merchant specializing in films from Warner Bros. that haven’t drummed up enough demand to justify the enormous overhead of a proper DVD release. Order from their constantly growing catalog of over 2,000 titles, and they’ll burn a DVD, made-to-order, and send it your way. (They’ve also recently begun beta testing on a streaming service, which I absolutely cannot wait for.) It’s elegantly simple and a great resource for some wonderful movies (like John Ford’s ultra-rare anthology film The Rising of the Moon, now up for pre-order). It’s a pretty vast archive and, by its very nature, many of the films are somewhat under-discussed, so I thought I’d give y’all a few tips on some really enjoyable films you can get from them. Here’s one movie I like from each decade, and a backup for each, in case my first choice doesn’t catch your interest. 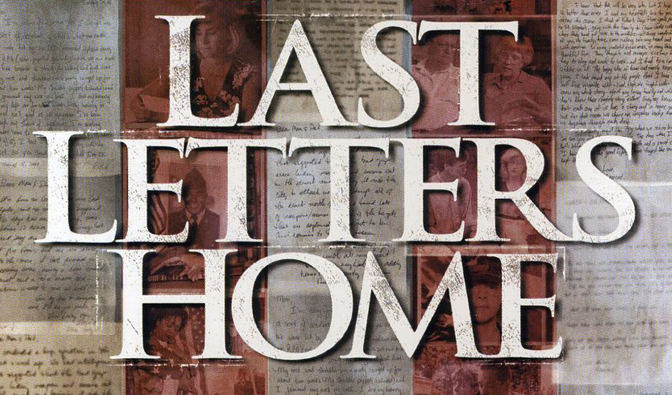 A conceptual sequel to Dear America: Letters Home from Vietnam (1987), this HBO film features simply an hour of letters from American soldiers killed in the Iraq War. A window into lives lost, this is documentary filmmaking at its best. Alt. pick: Twist of Faith (2005), another powerful documentary about tragedy, this one following a man trying to come to terms with the sexual abuse he faced at the hands of a Catholic priest. ‘Nother downer, sorry. Made-for-TV dramatization of the first World Trade Center bombing which has not been shown in America since 9/11. 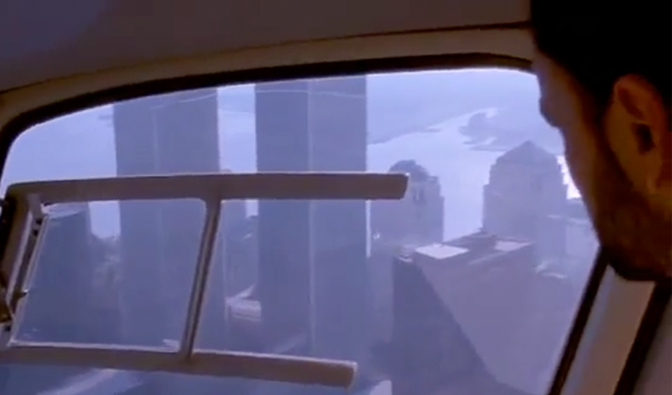 It’s most famous for the last scene, in which Ramzi Yousef looks up at the WTC and sneers “next time we’ll bring them both down.” It’s an okay procedural, but a stunning historical document of a totally alien world. Alt. pick: This one’s a bit less disturbing. Akira Kurosawa’s Dreams (1990) is one of the great director’s final works, an anthology recreating actual dreams he experienced. It’s a pure visual feast and a beautifully intimate work. The best crime film of the decade. Audiences and critics both rejected this sad and beautiful film for all the reasons it’s so powerful today—darkness, ambiguity, and a nuanced look at human sexuality. 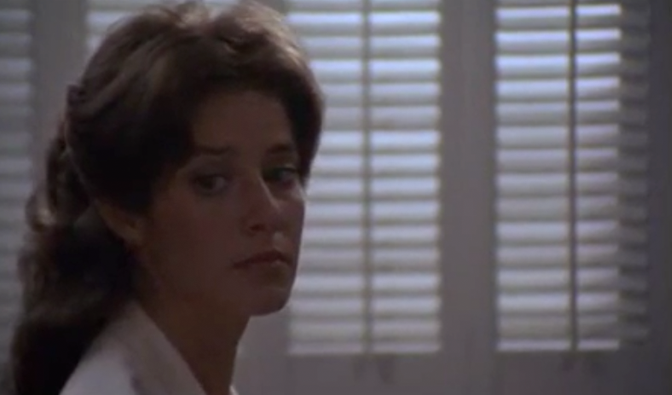 Debra Winger is commanding as the closed-book lead, and Paul Winfield puts in his best (and, as a gay man playing a gay character, probably most honest) work. Alt. pick: The Belushi/Ackroyd comedy Neighbors (1981), for which they switched roles in pre-production and each acted against type. It’s a love-it-or-hate-it kind of thing, but if you have a taste for the cynical and bizarre, it’s a lot of fun. A strong contender for John Huston’s best film, Fat City features a young Jeff Bridges and an aging Stacy Keach struggling through the grimy amateur boxing circuit. 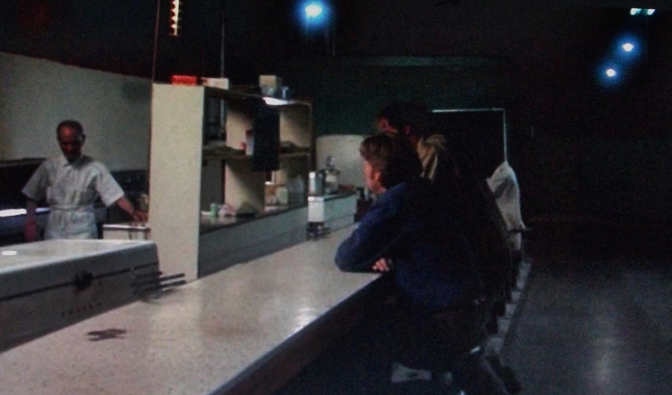 It’s as clear-eyed and powerful a depiction of the sad dignity of boxing as any film I’ve ever seen, Conrad Hall’s pale and vast cinematography is on-point, and the Kris Kristofferson score alone is worth more than most movies. First-class filmmaking from a first-class filmmaker in the middle of a legendary creative boon. Alt. pick: The made-for-TV Charles Whitman biopic The Deadly Tower (1975) marked the moment Kurt Russell shook away from his child actor roots. He’s eerie here, and his stone face and hard eyes speak to another side of one of our most enduring leading men. But Ned Beatty, as usual, steals the show in a supporting role. Story of his life. This comedy about a NYC bum forced to deal with society to maintain custody of his nephew is basically Big Daddy if Big Daddy wasn’t terrible. 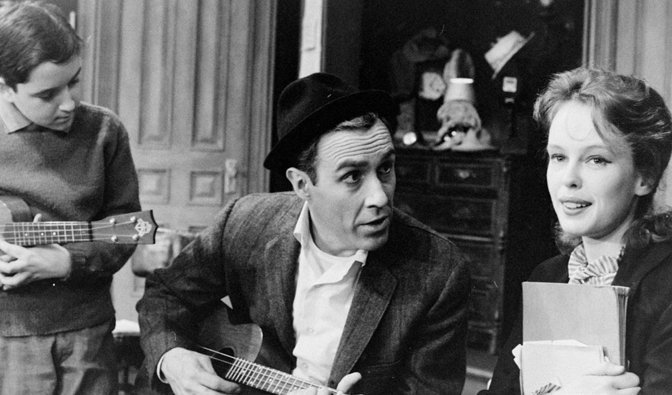 Smart and occasionally very funny, Jason Robard and Martin Balsam have a great rapport, each trying to prove who’s the slouchiest New York actor. The opening sequence is one of my all-time favorites, and aside from all else, it’s an invaluable portrait of the City in the ‘60s. It was nominated for Best Picture, and Balsam won Best Supporting, so it’s still a surprise to me how little-known this one is. Alt. pick: Dark of the Sun (1968), a favorite of Tarantino and Scorsese. A mean and relentless action thriller featuring Jim Brown, Yvette Mimieux, Rod Taylor, beautiful Africa, and a chainsaw fight on railroad tracks. Post-apocalypse films are ‘in’ these days, and you’ll be hard-pressed to find a better one than this one, which questions whether even the end of the world would mean the end of racism. The interracial love triangle is a strong story backbone, but this film really shines in the little moments, like Harry Belafonte relocating paintings from the Met to his apartment. The utter desolation of the first act was never bettered until 28 Days Later, and even then, only barely. Alt. pick: Devil’s Doorway (1950). When it comes to westerns, only Leone and Ford can beat Anthony Mann’s string of challenging masterpieces. This anti-racism thriller, his second western after the Criterion-approved The Furies, just may be his best film. One of the first anti-Hitler films, The Mortal Storm is a tense and heartbreaking portrait of a village in Germany corrupted by the rising tide of Nazism. 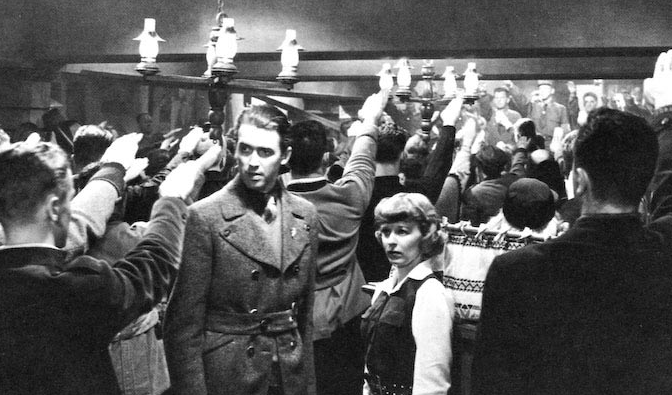 Director Frank Borzage (probably, to this day, the best director of romances) imbues the film with tender sorrowness and a powerful romantic core, but never loses sight of the grotesqueness of the fascists. This is the last of four collaborations between Jimmy Stewart and Margaret Sullavan, and it remains a highlight of both of their careers. Alt. pick: Abe Lincoln in Illinois (1940), one of the biggest financial bombs of the era, stands now as an elegant and well-acted look at the early life of Honest Abe. A fast and enjoyable romantic comedy from Dorothy Arzner, one of the first successful female directors. 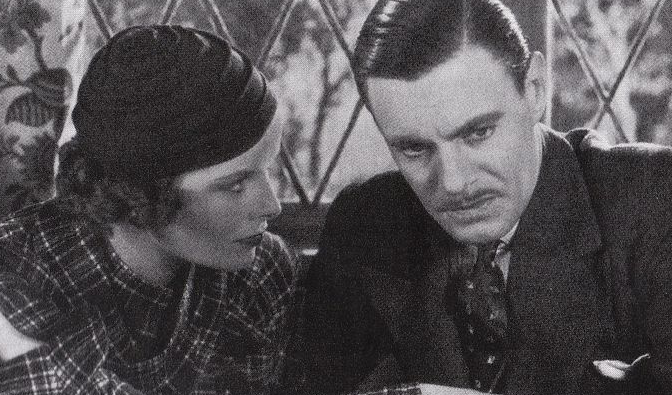 Katherine Hepburn stars as a daring aviatrix who falls for Colin Clive. It’s nice to see Clive in something light for a change, and it’s great to see a young Hepburn refining her screen persona. The moth costume she wears for one scene is legendary. Alt. pick: The Great Garrick (1937), Frankenstein director James Whale’s historical comedy about the greatest actor of his generation. 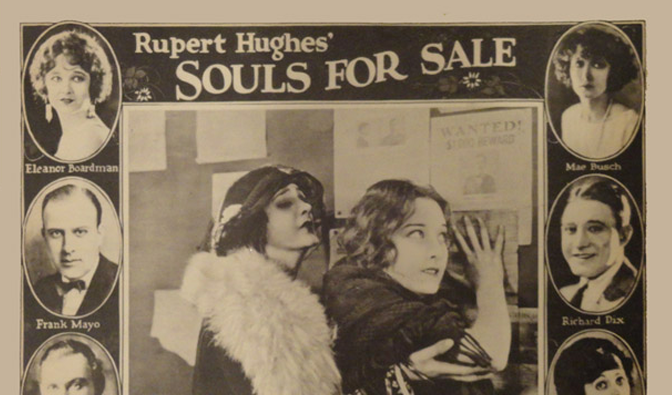 Sort of The Player of its day, Souls for Sale is a film about a woman trying to break into the film industry, shot and set in 1923, just as Hollywood was shaping itself into what it is today. Like so many films from the era, this one was lost for years until a typically herculean TCM restoration in 2005. The main story, directed by historian Rupert Hughes, is fun enough, but the most amazing part of this film is the behind-the-scenes footage of Erich von Stroheim filming the soon-to-be legendary Greed, and Charlie Chaplin directing his famous bomb A Woman of Paris, which has since been reassessed as one of the great director’s greatest works. We also get a glimpse at two other films—The Eternal Three and The Famous Mrs. Fair—which are both lost. Alt. pick: Casablanca director Michael Curtiz’s infamous bloodbath Noah’s Ark, which pounded water so furiously onto the flood extras that at least three died. Among those who survived: a young John Wayne. And that about does it! Although Warner Bros. dates back to 1918, there are no pre-1920’s films in their catalogue. If any of y’all take my advice on these recommendations, be sure to let me know in the comments what you think of them. And for more recommendations along these lines, stop by my blog, Shot Context. This entry was posted in All Posts, John's Lists and tagged abe lincoln in illinois, abe lincoln in illinois 1940, abe lincoln in illinois film, best warner archive films, best warner archive movies, christopher strong, christopher strong 1933, christopher strong film, christopher strong movie, dark of the sun, dark of the sun 1968, dark of the sun dvd, dark of the sun movie, deadly tower, devil's doorway 1950, devils' doorway, fat city, fat city review, great garrick, homages ripoffs and coincidences, john damico, kurosawa's dreams, last letters home, last letters home documentary, last letters home from soldiers, last letters home hbo, letters home form vietnam, mike's murder, mike's murder film, mike's murder movie, mortal storm, neighbors, neighbors film, neighbors film 1981, neighbors film belushi, neighbors movie, noah's ark, noah's ark movie, path to paradise, path to paradise 1997, path to paradise movie, rising of the moon, shot context, shot context blog, smug film, smugfilm, souls for sale, souls for sale 1923, the furies, the great garrick 1937, the great garrick movie, the mortal storm 1940, the mortal storm dvd, the mortal storm movie, the world the flesh and the devil, the world the flesh and the devil movie, thousand clowns, twist of faith, twist of faith documentary, twist of faith movie, warner archive, warner archive beta, warner archive collection, warner archive dvd reviews, warner archive reviews. Bookmark the permalink. Hey Mary, thanks for the kind words. 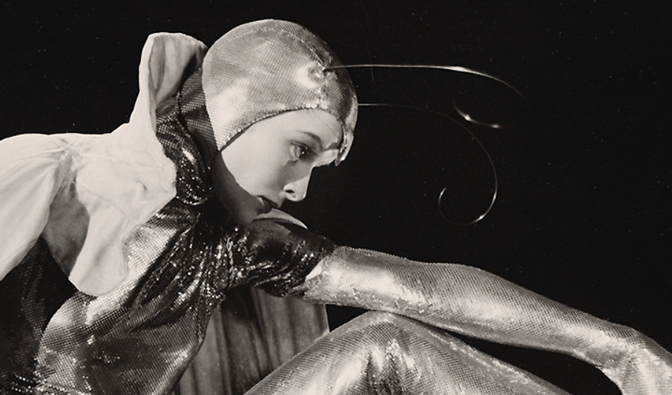 You’re thinking of one of my all-time favorite films – Carl Dreyer’s 1928 The Passion of Joan of Arc. http://www.youtube.com/watch?v=_dmg1h7r_rc The original version was lost for decades until a print was uncovered in a Norwegian insane asylum in 1981. Many call Renée Falconetti’s performance as Joan the best performance in the history of cinema. I’m not sure I agree, but it’s close. Far out! The YouTube clip caused a major case of deja vu (sp?). Norwegian insane asylum??? E-gads! This is a film that will stay with the viewer forever, I swear. I have to find a way to own it and re-live that profoundly moving night my sister and I were left speechless in an unlit house near Detroit, November winds howling outside. Mind-blowing cinematic experience! Thank-you, John, for your kind help. This was very informative! SUPER kudos on the mention of a Woman of Paris. That movie is SO underrated. Going to have to see Souls For Sale now.